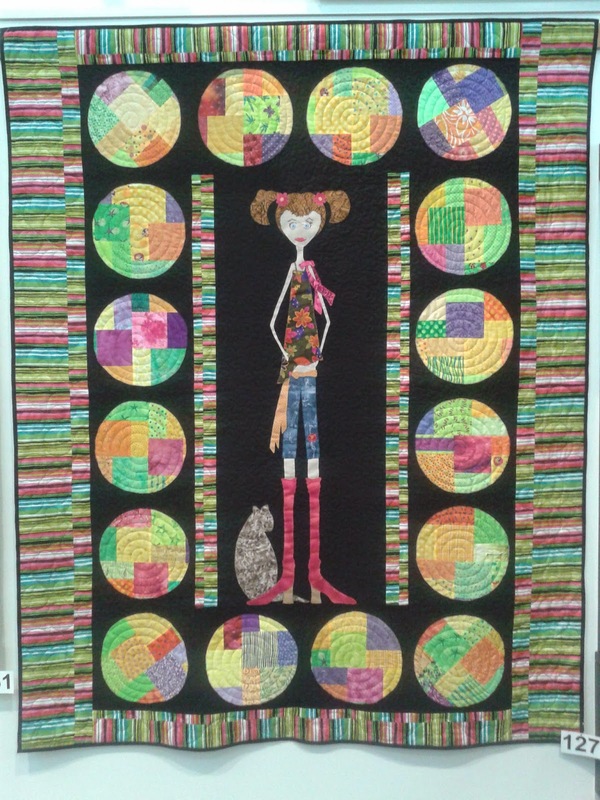 Over the weekend, I had the pleasure of enjoying the Capital Quilter's exhibition - Quilting, A Modern Tradition in Lower Hutt. Unfortunately, a LOT of my photos are blurry as it is tricky to take photos with a 2yo on your shoulders! 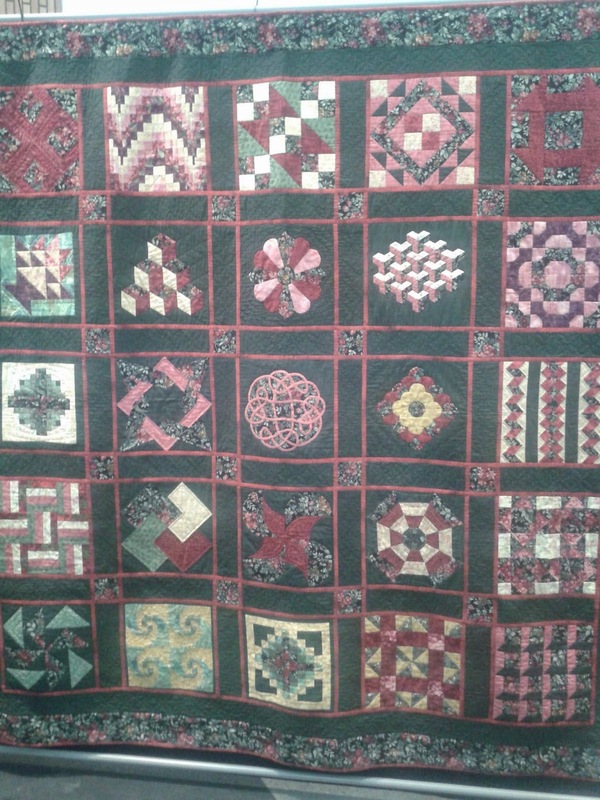 But I did get some photos of some lovely quilts (after all, there were well over 200 to admire). 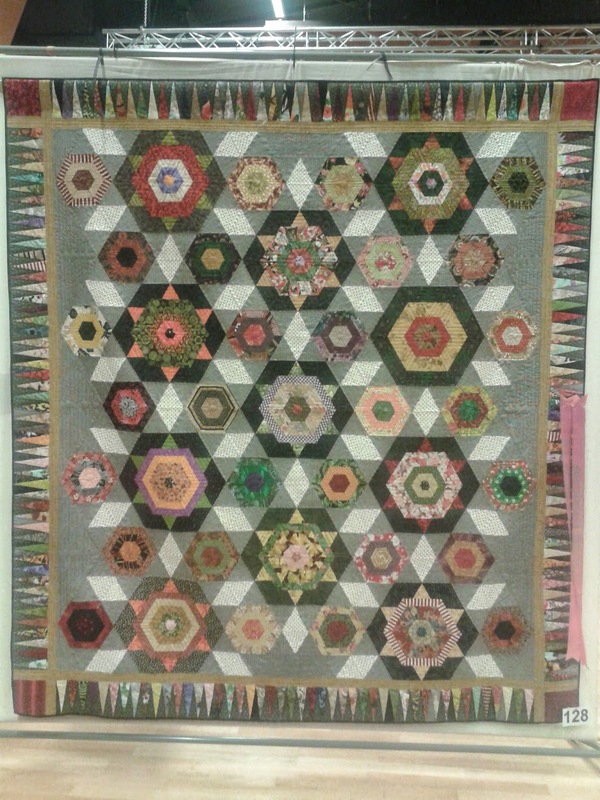 First up today, I am going to post up the quilts that were my family's favourites with their commentary of why they liked each quilt. First is Short Critic #1. 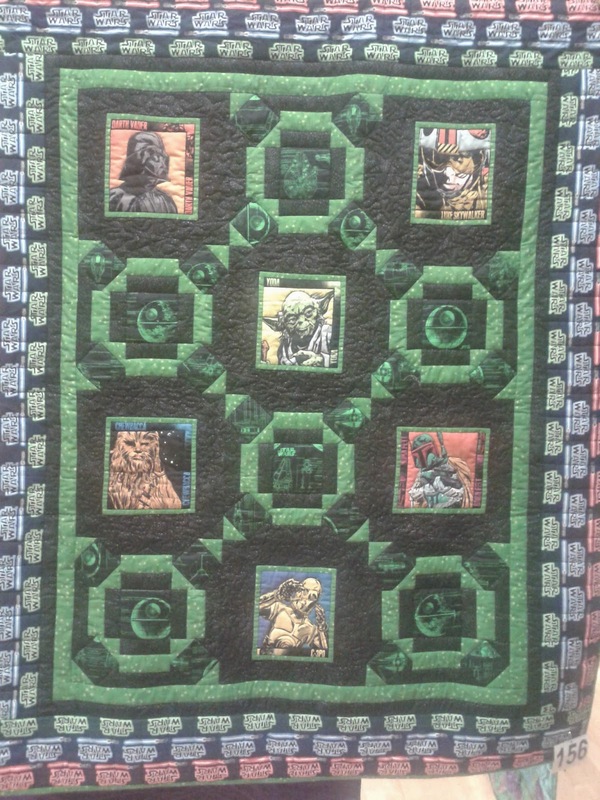 As he is a budding quilter himself, I asked for his top 3. 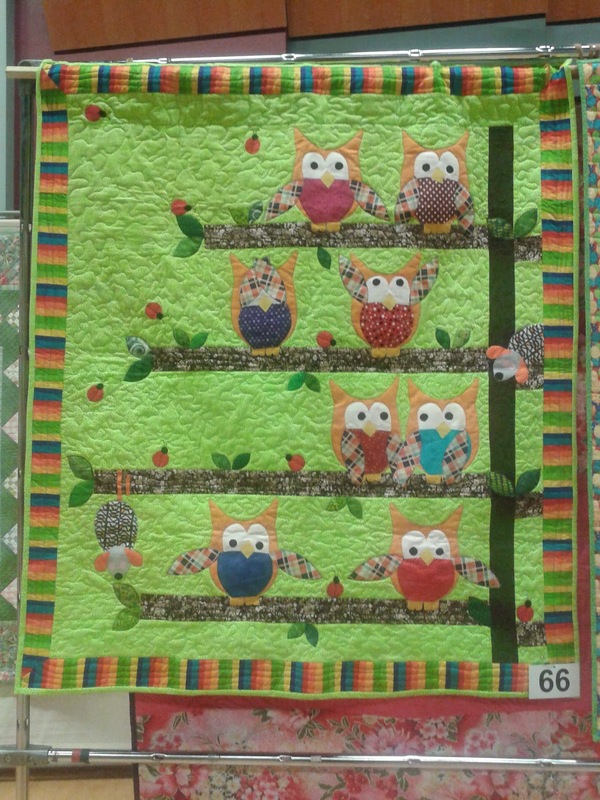 "I like the owls and the branches. the stripey edge is cool too"
"I like all the hexagons, I also really like that the diamonds go in all directions"
"It's Star Wars! It has my fave C-3PO on it!" "This was awesome and intricate, I can definitely see why it took 7 years!"